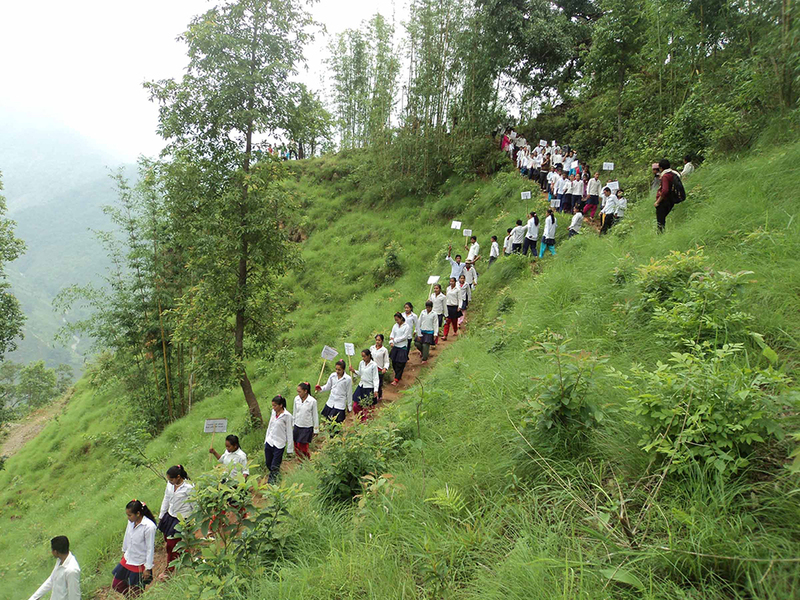 Students of Sharada Secondary School, Hauchur participating in a rally organized in Khotang after it was declared a literate district recently. KHOTANG, Feb 22: There was a time when the number of girl students was exceptionally low in community schools of Khotang district, especially in the rural areas. However, the number of girls has increased significantly in the recent days. Most of the schools here have number of girls than boys. Currently, the number of female students is comparatively higher than male students in Durchim Secondary School of Halesi Tuwachung Municipality-5. Out of the total 415 students, 237 of them are girls while 178 are boys. Similarly, there are more numbers of girls in Saraswoti Secondary School of Diprung Rural Municipality-5, Sachitapokhari. As per the details provided by the District Education Office (DEO), Khotang, the number of girls has increased significantly in the current academic year. 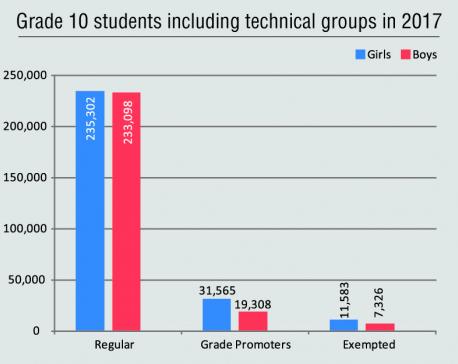 There are altogether 53,825 students in the district out of which 27,974 are girls. The number of boys, on the other hand, is 25,851. According to District Election Officer Dhan Bahadur Shrestha, female population in the country is more than male population which is reflected in schools as well. 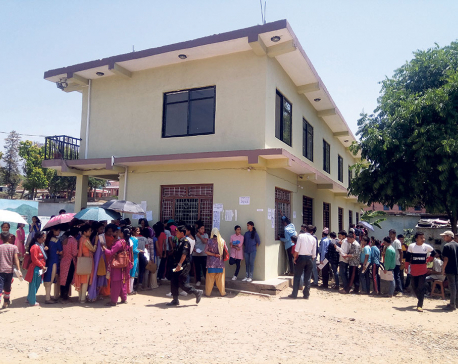 "It is difficult for us to state the exact reason behind the high number of girls," said Shrestha, adding, "Most of the parents prefer sending their sons to private schools and daughters to community schools. This could be one of the reasons." There are a total of 90 secondary and 401 pre-primary community schools in Khotang. Most of them have higher number of girls. This makes it clear that parents have finally started sending their daughters to school. But with more number of boys in private schools and more girls in community schools, the data also reflects the patriarchal mindset of the society. "Many parents still keep on giving birth until they get a baby boy. This is also a major reason for more number of girls in community schools," said Kumar Parajuli, principal of Bhagwati Secondary School of Khotehang Rural Municipality-7. He further informed that most of the male students leave the village in search of employment after appearing for the Secondary Education Examination (SEE). This ultimately results in more number of girls in schools, according to Parajuli.